​Here is a black and red and white teapot heavily but elegantly decorated in a Rococo abundance. 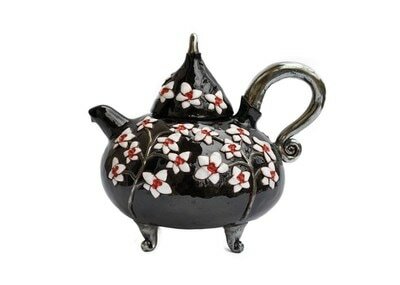 It has a slightly posh attitude that is implied by its proudly tilted spout and sturdy pose with little feet. 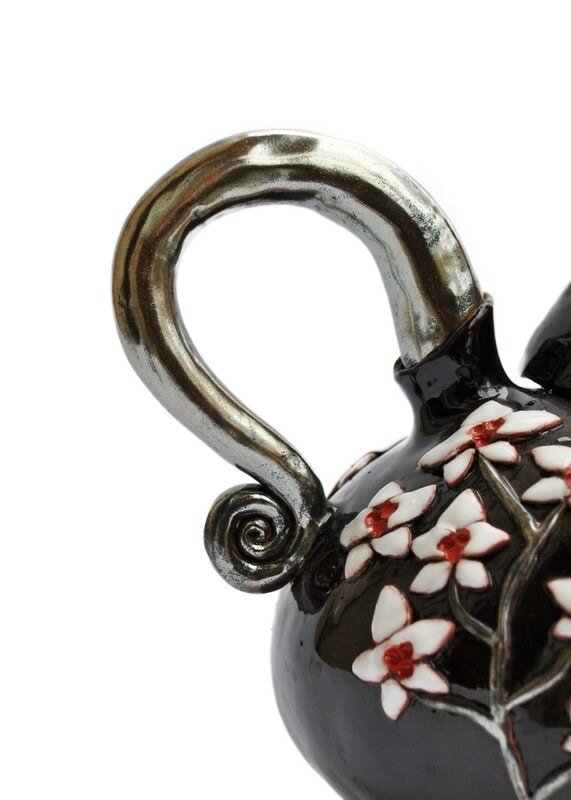 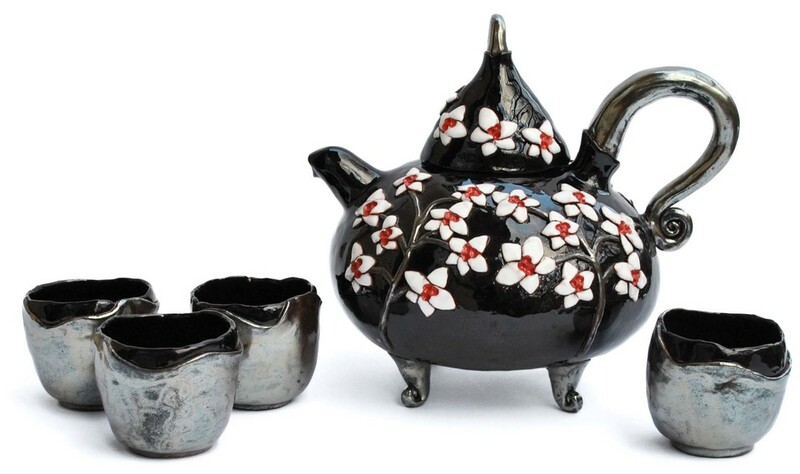 This small sized glossy black teapot is richly decorated with white orchids and stands on legs in metallic glaze and is quite a statement for any tea parlour or kitchen shelf. 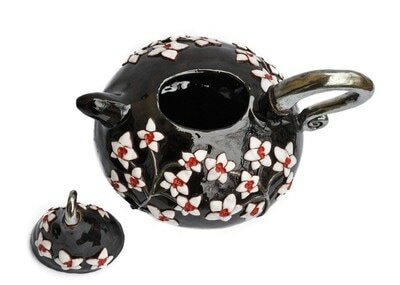 More so when it is accompanied by four cups. 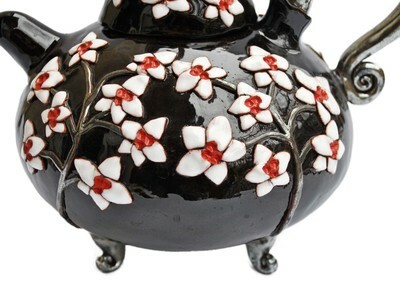 Inside glaze is food safe. 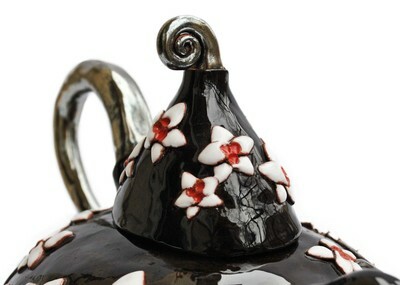 The teapot is 17 cm (6.7 inches) tall (including the lid). 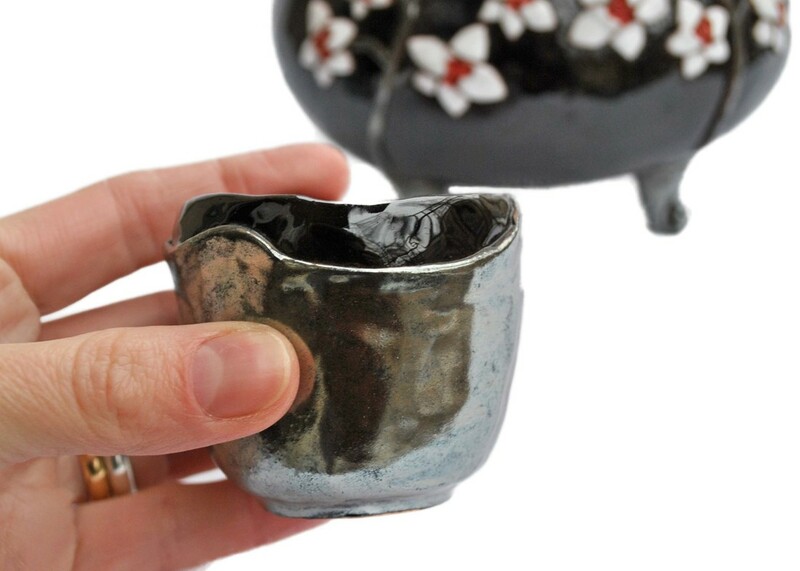 Each cup is approximately 5.5 cm (2.2 inches) tall.